In my previous post, I explained some planning considerations when implementing GPUs in a virtualized environment. There are a few other considerations, especially in terms of hardware, when you implement GPUs in your virtualized environment. This article will contain some of these considerations. When planning to implement GPUs in existing hardware, be sure that the current hardware does support the installation of a GPU. If your current environment, for example, consists of blade servers (like Cisco UCS B-series or HP BL series), your environment will not be able to be upgraded with a GPU. This means that you have to invest in new hardware. If you’re planning on implementing vGPU, the first place you should check is the hardware compatibility list for virtual GPU devices. Note that this list contains hardware which has been certified for vGPU on XenServer, it does not mean that other hardware will not work. If you’re buying new hardware to host your GPU-enabled virtual desktop environment on, be sure to do some investigation on the supported configuration. Like stated before, Cisco UCS B-series (blades) do not allow PCI (graphics) cards to be installed. This means that you probably would be looking at Cisco C-series rack servers. But depending on your load-per-server, the exact server choice could differ. Now if you think “Great! Hook me up with a couple of these C240’s and throw in 2 GRID K2’s and I’m good to go”, you’re right. But… there’s one caveat. What if you would like a Cisco VIC 1285 card installed? Here’s the catch… You can’t install 2 GRID (K1 or K2) in this server AND a Cisco VIC. So you would need to figure out what the best configuration is for you. This rack server has a total of 6 PCIe slots. If you’ve checked the GPU hardware compatibility list, you will have noticed that the list does not contain the C260. Reason is pretty simple, it has only one standard-profile PCIe slot, which can’t fit the GRID board, since it doesn’t have room for dual-slot cards (besides, it is only half-length). While there are a lot of servers out there which allow installation of a GPU, the amount of GPUs differ greatly as well as the way you have to configure the hardware. You will need to do some investigation in the available options. Luckily, most vendors (like Cisco) offer a usefull configuration tool which allows you to configure the server correctly. Be sure to check the GPU Passthrough HCL or vGPU HCL for XenServer to narrow down the possible vendors and servers. 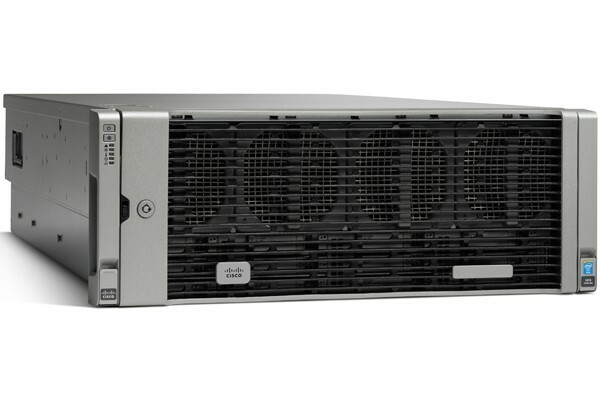 I’m focussing on Cisco hardware in this article, but everything explained does apply to other hardware (like HP Proliant DL380 or Dell R720). I hope this article was usefull for you. If you have any questions or remarks, leave a comment or feel free to send me an email.